By using the Services, you consent to allow Yahoo!’s automated systems to scan and analyse all incoming and outgoing communications content sent and received from your account. This includes Mail and Messenger content already stored in your account. Unless expressly stated otherwise, Yahoo! Mail customers will not be allowed to opt out of this feature. … automatic scanning and filtering technology is at the heart of Gmail. Gmail scans and processes all messages using fully automated systems in order to do useful and innovative stuff like filter spam, detect viruses and malware, show relevant ads, and develop and deliver new features across your Google experience. Priority Inbox, spell checking, forwarding, auto-responding, automatic saving and sorting, and converting URLs to clickable links are just a few of the many features that use this kind of automatic processing. 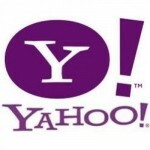 Why do you suppose everyone is upset about the fact that Yahoo! is implementing this, but never seemed to care about Google doing so? Is it simply the fact that Google is supposedly not “evil”, is it the fact that they never bothered to think about the terms to which they agreed when they signed up for Gmail, or is there something else going on here?